Welcome to our 9th IAEG Connector! In this issue, we are putting the spotlight on another IAEG officer and the fifth announced keynote speaker. I would like to introduce Jean-Alain Fleurisson who is our treasurer for IAEG. He has been treasurer of our organization since 2014 and has done a superb job with some very innovative monetary methods! Today, he is Professor at MINES ParisTech (Ecole des Mines de Paris) and a researcher at the Geosciences and Geoengineering Research Department of MINES ParisTech. After getting his Ph.D. there, he joined the Center for Engineering Geology created by our famous IAEG president, Professor Marcel Arnould. For 30 years, he has been involved in teaching and research in engineering geology and geomechanics with a focus on slope stability and also open-pit mines and natural hazards. He has worked all over the world in places like Africa and China. He is also a candidate to be our treasurer again for another four-year term with IAEG! I would also like to introduce Professor J. David Rogers, one of the eight Keynote Speakers at our congress in San Francisco. 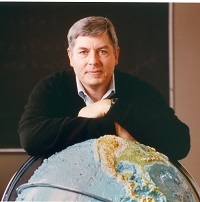 He is the Karl F. Hasselmann Chair of Geological Engineering in the Department of Geological Sciences and Engineering at the Missouri University of Science and Technology at Rolla, Missouri, USA. He is not only one of the finest engineering geologists in the United States, he is also one of the main historians of our profession! He will be speaking about the roots of our profession which are in California where our meeting is being held! He is a superb teacher, researcher, consultant and speaker! After getting his Ph.D. from the University of California at Berkeley in 1982, he became a consultant for 13 years, being the principal in his own company called Rogers-Pacific Corporation. After a teaching stint at his alma mater of Berkeley and doing some more consulting, in 2001 he became a member of the faculty at Missouri University of Science and Technology and has been there since. He is very active in AEG and also the Engineering Geology Division of the Geological Society of America where he was chair. He also was the winner of the Richard Jahns Distinguished Lecturer Award in Engineering Geology. An update on the upcoming congress in San Francisco: We now have registrants from over 44 countries around the world! Over 585 people have registered for the meeting so far. We have used up 64 percent of the room block at the Hyatt Regency so far. We encourage people to sign up for rooms soon. Over 400 talks and 234 poster sessions are going to be presented. Still, 100 authors of talks and posters have not registered for the meeting. Their abstracts and papers will be removed from the program and book if they do not register by Aug. 1 when the meeting program goes to press. 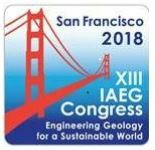 The Richard Wolters Prize 2018 competition will be presented at the occasion of the 13th IAEG Congress (Sept. 15-23, San Francisco, USA). We have already received four qualified candidates nominated by national/regional groups China, Chinese Taipei, New Zealand and Russia. The four candidates who have confirmed that will attend the 2018 RWP competition are listed below. Join us for your choice of 15 presentations that explore and explain the history and operation of licensure for geologists in the USA. Learn how licensure is influencing undergraduate programs and early career decisions. Be prepared for your future in regulatory compliance practice. California Geological Survey Program Managers will provide authoritative descriptions of the Survey's three major public safety programs. Take a look at Utah's new comprehensive non-mandatory practice guidelines; some of them might work in your state. We close with three papers on political geology. Come and learn about lobbyists and how (and why) to shake hands with a legislator. The final talk reports on cooperation among the three west coast licensure boards to increase practitioner mobility. 31 states and Puerto Rico license geologists. Over 75 percent of the U.S. population lives in a state that licenses geologists. The three west coast states offer supplemental statutory certification for engineering geology practice. How does that affect you? Undergraduate geology program accreditation is now available through ABET's Applied and Natural Science Accreditation Commission. What are the implications for licensure applicants and their boards? The ASBOG® (National Association of State Boards of Geology) two-part examination is used by all licensing jurisdictions. How is it constructed and is the knowledge base publicly available? Learn how (and why) to shake hands with a legislator and what lobbyists can do for you. Save the date and register today for the must-attend International Naturally Occurring Asbestos (NOA) Symposium featuring internationally renowned NOA research and industry-focused geologists, regulators and policy makers from Italy, France, Australia, Argentina, Germany, South Korea and the United States. This is a rare opportunity to hear how industrialized countries from around the world are dealing with NOA issues, without having to spend the time and expense to travel abroad. From the Alps, to the Australian outback, to the Andes to the California Coastal Ranges and Sierra Foothills, the issue of NOA, how it occurs, how it is identified, how it is regulated and controlled will be explored on a global scale. Click here for more information, hotel reservations, and to register!